A turbocharger is a combination Turbine & Compressor joined by a common shaft. Super-hot exhaust gases from the engine pass through the Turbine, causing it (and the Compressor) to spin at high speeds. The Compressor draws air through the air cleaner, compresses and feeds it to the engine for mixing with fuel. The result of these events is greater volumes of air/fuel mixture entering the cylinders. The engine, as a direct result, delivers considerably more power and torque than an identical capacity engine taking in air at normal atmospheric pressure. The waste gases which drive the Turbine come direct from the combustion chambers via the exhaust manifold at temperatures which can lift the Turbine to over 700º C. The Turbine spins at up to 100,000 RPM. The Turbo shaft and bearings and the oil which lubricates them must withstand these conditions on a daily basis for long periods at a time. 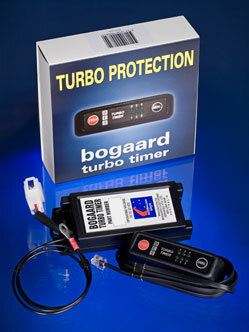 At switch-off, Turbo temperature is high & lubrication to the bearings stops instantly. Unless special precautions are taken, this may result in thermal distortions, the varnishing of oil on the shaft and bearings and premature Turbo failure.